Add the spiral pasta and cook for 8 to 10 minutes or until al dente. 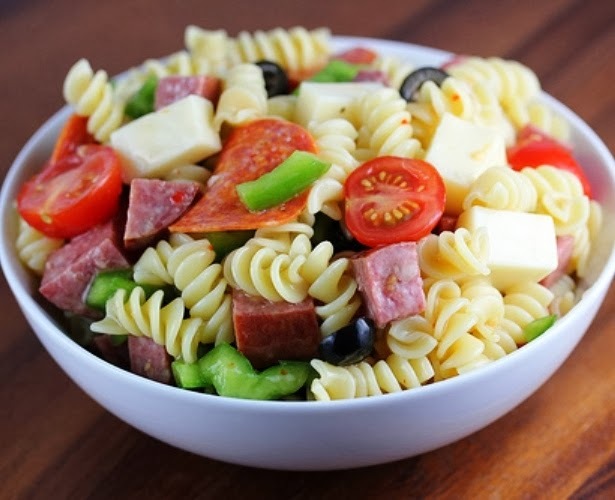 Add the drained pasta to a large bowl. Pour in the salad dressing and toss to coat.